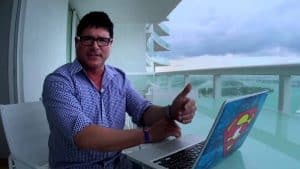 Paul Scolardi Review: Is This Millionaire Superman Trader A Scam? Paul Scolardi – The Superman Trader of The Stock Market! Read on for our Superman Trades review. Let me introduce you to Paul Scolardi aka the Superman trader of the stock market! If you are looking to make a “once in a generation” Supertrade then you need to follow this guy on twitter (@super_trades). Paul Scolardi is probably better known as the Superman trader or Supertrades. He is not new to stock trading – he has been trading the stock market for almost 20 years. Paul is widely considered to be one of the most successful self-made millionaire stock traders in the world. He is best known for his amazing ability to spot momentum in low float trades before anyone else is aware of it. Check out how you can learn SuperTrades brilliant swing trading strategy from Paul Scolardi himself! This is the strategy that I personally used to make $20k+ in my first year of stock trading! 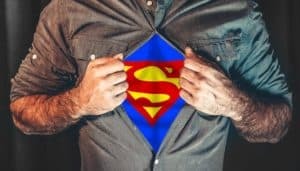 My experience with Paul and how he trades was a good one and I truly believe that he deserves to call himself the Superman Trader. Paul Scolardi hard at work! He looks a bit like Clark Kent…. Paul started his career as a CPA in corporate finance and spent 16 years of his life in that arena. Paul started his trading career part time while working at his job in finance. Because of this strong financial background, Paul is able to look over SEC filings and value companies very quickly. This gives him a huge advantage over the technical trader. Because he was working a demanding full time job, he had to perfect a trading strategy that would not require him to be constantly staring at a trading screen. 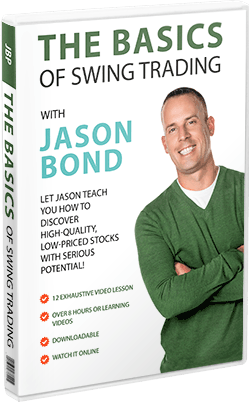 He devised a swing trading strategy that has netted him millions of dollars over the years. As his trading profits began to exceed his day job (> $100k per year), Paul realized that he was rapidly compounding his trading account and achieving financial freedom. In 2014 Paul quit his day job and traded full time, making over $1 Million dollars in trading profits in 2014. You can follow Super Trades Twitter account – here. I highly recommend that you follow Super Trades Twitter account because he often posts his stock trading ideas on Twitter. Sure, you won’t get alerted to the trade as early as his premium subscribers, but you will often get the due diligence and the idea. It is up to you if you trade the info or not. 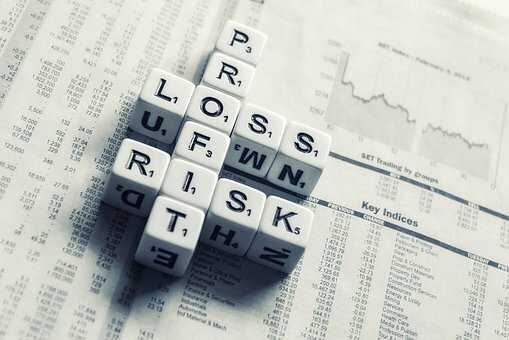 Be careful because Super Trades often plays low float stocks that move extremely quickly when he posts about them on Twitter. I have followed Super Trades Twitter account since 2015 and periodically he will just tweet about some stock that will become a huge winner and make him $500,000 or some equally ridiculous profit. All his huge winners were tweeted about many times before they reached their peak – so ignore anything announced on the Super Trades Twitter account to your peril! In 2014, Paul started a chatroom on the Profitly platform (started by Timothy Sykes) to teach his swing trading strategy to the masses. I joined the chatroom when it opened and I strongly believe that the strategy he teaches is one of the best you can ever learn. Super-trades strategy is not a get rich quick scheme and you must have patience and discipline to make money with it. However, there are many people who have made a huge amount of money learning the swing trading strategy. SuperTrades focuses on small cap, low float stocks with huge upside potential. This has given him a bit of a reputation as a stock ‘pumper’ on Twitter and thelion.com. After following him for years, I don’t think he ‘pumps’ stocks as many of his biggest wins take months to come to fruition. He certainly doesn’t just buy in, tweet out and sell into the incoming volume. Anyone that signs up and follows him carefully can see that he makes his money by having a longer term vision (this is a trait of many millionaires). Poor people think on a daily time frame. The middle class thinks on a monthly time frame. The truly wealthy think in terms of years or even decades. A Recent Super-Trades Massive Win! Recently, Super-trades had a huge winning stock pick called $AGMH. 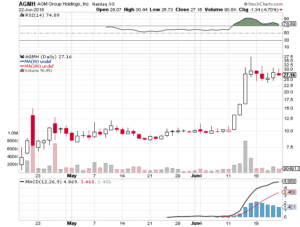 The chart of $AGMH and you can see where Super-Trades bought in as the stock started to breakout of the base price (around $10 per share). $AGMH quickly tripled in price in just 3 days! This is exactly the type of Super Trade that he is famous for. Truly inspiring to watch! This is a great track record and gives you an idea what is possible if you learn from this guy! It really does not get any better than this IMO. This was one of Supertrades biggest winning trades! 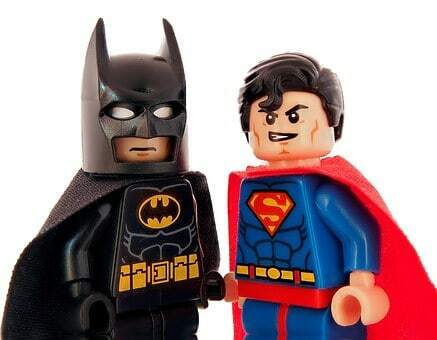 You can read a full Superman trades review of his best stock trading alerts service here. There are many Superman trades review articles out there and most of them are extremely positive because Super-Trades is legit! Even the most cynical stock review site wrote a super trades review that is very glowing! You can read that super trades review here. I agree 100% with this piece of advice – I see it all the time in the chatrooms that I review. I am also a huge fan of compounding your gains (Einstein once called this principle one of the most important of all time!). Hopefully you enjoyed this brief super trades review! If you want to learn how to make money by making a huge supertrade every few months that nets you double or even triple digit percentage gains, then signing up to learn from Paul Scolardi and his Super Trades Pro Alerts is a must. This Superman Trader of the stock market is a must follow! 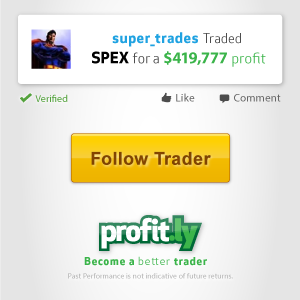 If you don’t want to sign-up for his premium alerts service, be sure to at least follow Super Trades Twitter account. Paul Scolardi is a Millionaire Superman Trader and he has helped me make a lot of money trading stocks! Hopefully you got some value from this Super Trades review. 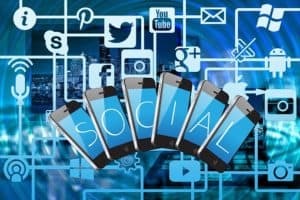 Super Alerts has some awesome stock picks that make massive moves. We love it but if you signup, be sure to cut your losses quickly.